HENDERSONVILLE, N.C. — A second day of racing at Jackson Park in western N.C. provided a change in surroundings and in course conditions. Early races at the Hunter Subaru North Carolina Grand Prix (NCGP) turned the frozen tundra into rutty mud for the Elite riders vying for final points on the USA Cycling Professional Cyclocross (ProCX) calendar. The brown track provided a stark contrast to the white snow blanketing the trees and hills. 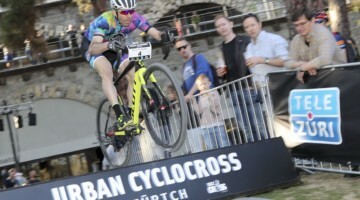 There was a new feel to the course, but a similar look for the podium in both Category 2 contests. 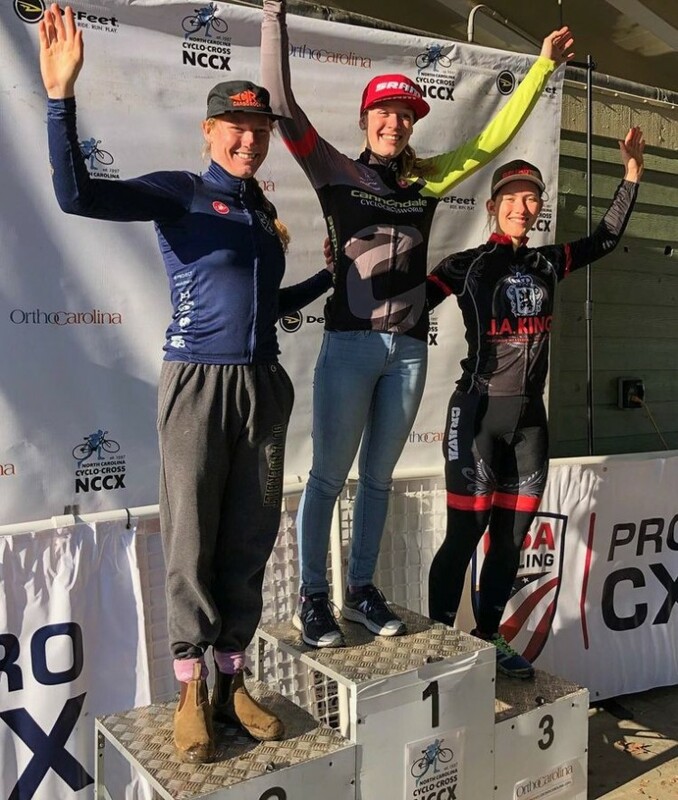 Canadian Ruby West (Cannondale p/b Cyclocrossworld.com) and North Carolina resident Kerry Werner (Kona Factory CX Team) would seal the wins for a second consecutive day in the elite races. Werner was trying to make a dent in a 140-point margin separating him from ProCX Elite Men’s leader Tobin Ortenblad (Santa Cruz/Donkey Label). 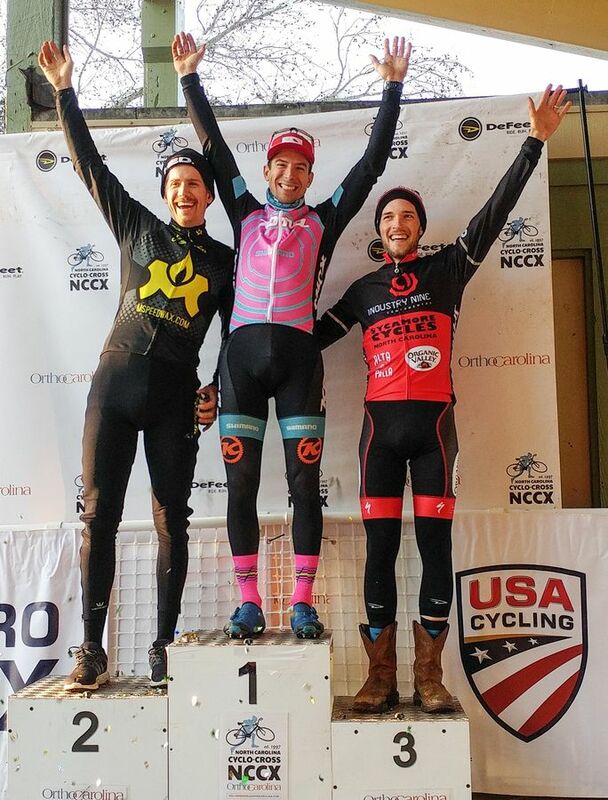 However, Ortenblad with score a double-win in Garland, Texas over the weekend at Resolution Cross Cup and hold Werner to a second-place overall in the standings. West was ranked 15th in the ProCX standings for Elite Women coming to N.C. While top points would help her move into the Top 12 for the year or higher she was focused on just beating Lily Williams (Pony Shop CX Team) to the line for a second day in a row. West and Williams would ride in tandem around the course for a second day. Williams, who is from nearby Asheville, would finish second for a second day, five seconds behind West. Third place was taken by 19-year-old N.C. rider Hannah Arensman (.A. King P/B BR’c), 14 seconds behind Williams. Her older sister, Allison, would finish fourth. The final podium for the Elite Men’s race was pretty much in place after the first lap, Werner followed by Eric Thompson (MSPEEDWAX.COM) of Shoreview, Minn. and Tristan Cowie of Mills River, N.C. It was Cowie who tried his hand at the front early by winning the holeshot. Cowie lost his position on the second lap with a miscue in the pits, allowing Merwin Davis (Cycle-Smart Inc.) of Boone to pass. Two more laps in and Cowie caught Davis to chase down the two leaders. All riders were trying to find the right lines in the mud. By the bell lap there were no more wheels to follow to find the right lines, only gaps forming and the finish line getting closer. Werner was in charge, followed by Thompson and a charging Cowie. Thompson would improve one spot on the podium from Saturday and move up to second. Cowie improved from fifth on Saturday and finished third. Davis would ride in for fourth, and Winston-Salem’s Travis Livermore (Maxxis/Shimano) would take fifth. 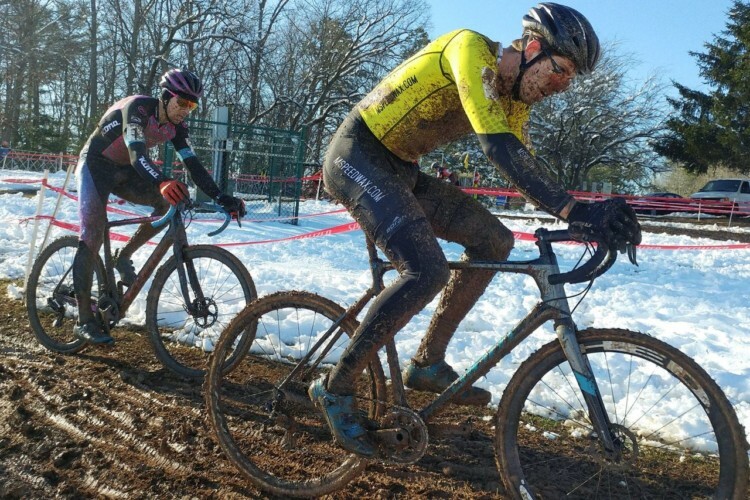 The Hunter Subaru NCGP, which is part of the North Carolina Cyclo-Cross Series powered by OrthoCarolina, was one of the two season-ending races for ProCX. 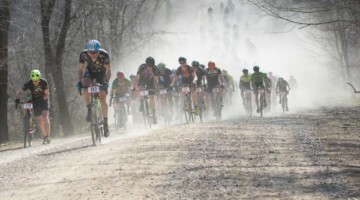 The other races to conclude the ProCX season were held in Garland, Texas at the Resolution Cross Cup. 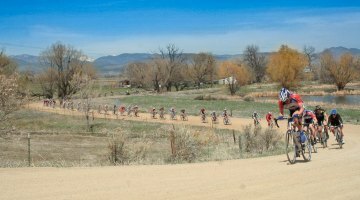 The final standings for Elite Women and Elite Men will be posted this week at usacycling.org..